Visual Studio 2019 and Visual Studio 2019 for Mac are now available for download. Start your installation and hang out for a full day of demos and conversations around Visual Studio, Azure DevOps, and GitHub. Visual Studio 2019 focuses on personal and team productivity, modern development support, and constant innovation. Visual Studio 2019 for Mac is available to download today! The latest version includes a number of exciting new features and performance improvements. Visual Studio Live Share now included with Visual Studio 2019! Get started with real-time collaborative development now. So you have a Visual Studio Subscription? Now what? Check out the launch events in your local area, hosted by our fantastic community. Burning questions? Ask them online on Twitter using #VS2019! Join the community on “Twitch and Mixer” all day for live conversations. 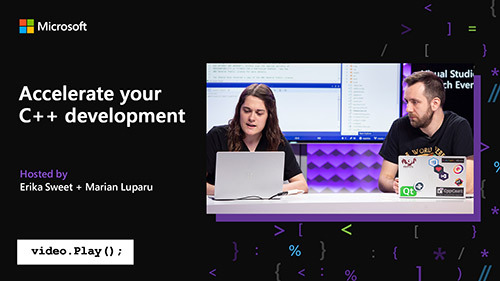 New learning content on Visual Studio 2019 is now available on Pluralsight. Access new courses (“What’s New in Visual Studio 2019” available for free to anyone until April 22, 2019), a path, and a skill assessment today. Are you a Visual Studio Subscriber? Check out the wealth of benefits available to you, ranging from software for dev/test, and Azure credits, to training and support. Watch this free (until May 2, 2019) 30-minute course on LinkedIn Learning to find out what’s new in Visual Studio 2019.